Any weight loss program, as well as all exercise programs, rely on a protein-rich diet. Why you wonder? Well, first off I think that I need to start at the beginning and explain the basics about protein and then build from there. Protein itself is actually chains of other molecules called amino acids. There are 22 amino acids in total in the body. Thirteen of them non-essential, meaning our bodies are capable of making these little guys on their own, and nine which are deemed essential because we need to ingest these aminos through the foods that we eat. OVER 40? GET FIT, FEEL AMAZING & HAVE COMPLETE STRANGERS COMPLIMENT YOU. What foods contain these nine essential amino acids? And, soybeans provide all nine amino acids and are therefore called “complete proteins”. Plant sources, such as legumes, nuts, seeds, grain products and many vegetables have some, but not all, of the nine amino acids, and are so termed “incomplete proteins.” When combined, though, it is possible to get all nine without having to eat any animal products (great news for all you vegetarians out there). A diet high in protein is a very successful weight loss technique, and a tried and true method for fitness-enthusiasts looking to maintain a lean body weight and a high muscle mass. Worried about what all that extra protein in your body might do to your heart and vessels, though? However, if you have any kidney or liver problems it’s best to seek the advice of a nutritionist before increasing your daily protein. How much protein should you be taking? 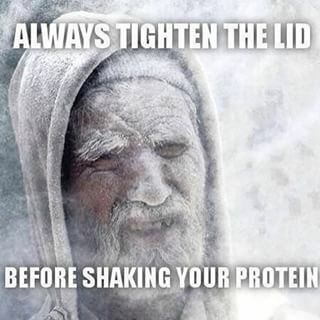 Protein powder is the easiest way to introduce 20-30 grams of pure protein into your system. A quality protein powder will have all the essential and nonessential amino acids that your body needs. Wondering why we would need those nonessential amino acids, when our bodies are already capable of making them on its own? Well, let me remind you that when we exercise, we place a great deal of stress on the body and need to supplement to offset this stress. The body can’t do it all on it’s own when outside it’s normal parameters – you need to give it some help. This is also true if you lead a high stress lifestyle, or are ill, or do not practice proper nutrition. In fact, the unhealthier you are, the more you need protein. Protein powder is also convenient and has a very high bioavailability (BV). Foods, especially protein sources, are rated by their “bioavailability” – how useful that food is to the body. The theoretical highest BV of any food source is 100%, an egg being the standard measurement that all protein sources are held to. BV refers to how well and how quickly your body can actually use the protein that you just consumed. Whey protein is a dairy derived product. It is the ‘leftovers’ after milk coagulates and is the byproduct of the process of cheese making. 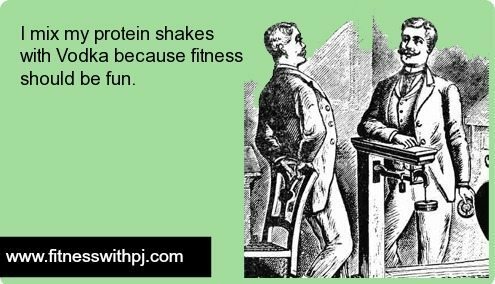 It is, by far, the most popular of all of the protein powders. Concentrate forms are low in fat & cholesterol, but your body only absorbs 55-60% of it (concentrate has the lowest BV of the whey protein powders). This is also the cheapest powder that you can buy. Isolate forms are a purer form of protein and have been processed less than concentrate forms. Isolate also has a very high BV rating (100%) and it won’t bloat you or give you gas like the lower quality concentrate will. However, you will pay for these benefits. Hydrolyzed protein powder is isolate, but with a facelift. The whey protein is cut into smaller chunks called “peptides”. These peptides absorb into your body fast, offering a quick jump-start to repairing those muscles and a very high BV. But this is also the most expensive protein powder. Think of hydrolyzed as your porterhouse steak, isolate as your sirloin and the concentrate as your flank. I love isolate powders personally. But, if you find you get bloated, or feel “too full” after a shake then hydrolyzed is your powder. If you are increasing the amount of protein in your diet, be sure to drink at least eight 8-ounce glasses of water a day – protein uses a lot of water within the body to metabolize. Milk consists of three main components – water, fats and proteins. The proteins are whey and casein. Casein, however, is structurally different than the whey protein and it is responsible for the white, opaque appearance of milk. This makes it the best protein powder for right before bed, or anytime when you are not going to be eating for seven or more hours. A drink with 20-30 grams of casein powder will help prevent muscle catabolism and keep you satisfied. Same as the pro – it is slow-acting, so not the best choice for right after a workout, or as a morning meal. If you can, I would recommend staying away from soy protein powder. It has a low BV rating and is high in allergens. It has also been researched that more soy we eat, the more likely we can develop allergies to it. Soy was once considered a waste product in the soy oil industry and fed to cows. If you need to, or want to, eat a vegetarian-based protein supplement, then I recommend chlorella, hemp seed, or spirulina. These three are considered “super foods” because they contain the proper ratios of the three macronutrients: protein, carbohydrates and fat. I, personally, take 3 grams of spirulina a day and 4-6 grams of chlorella (more during the flu season to up my immunity), in addition to an isolated whey protein shake. Standard cooked rice has a protein content of only 5%-7%. To make concentrated rice protein, whole brown rice is ground into flour and then mixed with water. Natural enzymes are then added to break down and separate out the carbohydrates and fibers from the protein portion of the slurry. WHAT EASY THINGS CAN YOU START DOING TO FEEL FIT AND FAB OVER 40? When is the best time for a protein shake? I prefer mine right after my workouts. When you workout you are actually creating tiny microscope tears to the muscle tissue. Because solid food takes time to digest, and I want those amino acids found in protein to build the muscle tissue ASAP that I just broke down, so a protein shake is my answer. Protein, in particular the branched chained amino acids (BCAA) leucine, isoleucine and valine, are key at re-building the muscle tissue. What brands do I use? Quest – this one contains sucralose, but tastes great with just water. I have also mixed the Strawberry in mny plain Greek yogurt to liven it up. Vega – this one is vegan and needs milk, milk sub like almond milk to make it taste good. I also find it needs to be put in the blender with some ice too. This is the cleanest protein powder on the market, however not the tastiest. Cellucor – this one contains sucralose and acesulfame potassium. So, not a “clean” powder, but tastes great mixed just with water. All the others need almond milk – or whatever milk sub you drink – to make the shake taste good. North Coast Naturals – they carry a whey as well as a vegan formula and it does not taste great in water alone either. Mixed with a milk or milk sub, though, it’s really good. Promisal – this is the powder II have used in the past! It tastes amazing in just water. I recommend the soft-serve vanilla, dutch chocolate and the cookies and cream. You can buy this online, or at GNC. Devotion – hands down this is the BEST powder I have had in the 20 years of purchasing protein powder. It mixes amazing-balls with water alone. It is creamy, mixes well and tastes amazing. One tip though, purchase the one sweetened with stevia. The other, sweetened with sucralose, is super sweet. I much prefer stevia.